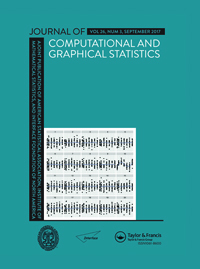 Leah Price, Chris Drovandi, Anthony Lee and David Nott published earlier this year a paper in JCGS on Bayesian synthetic likelihood, using Simon Wood’s synthetic likelihood as a substitute to the exact likelihood within a Bayesian approach. While not investigating the theoretical properties of this approximate approach, the paper compares it with ABC on some examples. In particular with respect to the number n of Monte Carlo replications used to approximate the mean and variance of the Gaussian synthetic likelihood. Since this approach is most naturally associated with an MCMC implementation, it requires new simulations of the summary statistics at each iteration, without a clear possibility to involve parallel runs, in contrast to ABC. However in the final example of the paper, the authors reach values of n of several thousands, making use of multiple cores relevant, if requiring synchronicity and checks at every MCMC iteration. The authors mention that “ABC can be viewed as a pseudo-marginal method”, but this has a limited appeal since the pseudo-marginal is a Monte Carlo substitute for the ABC target, not the original target. Similarly, there exists an unbiased estimator of the Gaussian density due to Ghurye and Olkin (1969) that allows to perceive the estimated synthetic likelihood version as a pseudo-marginal, once again wrt a target that differs from the original one. And the bias reappears under mis-specification, that is when the summary statistics are not normally distributed. It seems difficult to assess this normality or absence thereof in realistic situations. Given the similarity between both approaches, I wonder at a confluence between them, where synthetic likelihood could maybe be used to devise PCA on the summary statistics and facilitate their projection on a space with much smaller dimensions. Or estimating the mean and variance functions in the synthetic likelihood towards producing directly simulations of the summary statistics. This entry was posted on December 13, 2017 at 12:17 am and is filed under Statistics with tags ABC, ABC consistency, ABC-MCMC, embarassingly parallel, misspecified model, summary statistics, synthetic likelihood, unbiased estimation. You can follow any responses to this entry through the RSS 2.0 feed. You can leave a response, or trackback from your own site.